An ancient sublight vessel. Designed to carry and store cryogenically frozen humanoids until a cure for their death could be found and used to regenerate them. 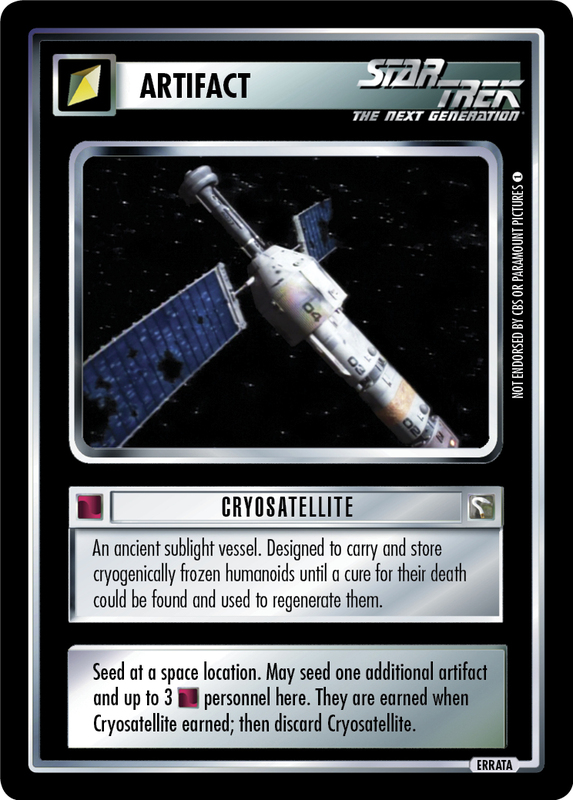 Seed at a space location. May seed one additional artifact and up to 3 personnel here. 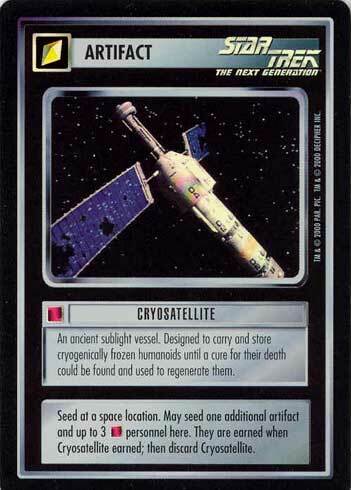 They are earned when Cryosatellite earned; then discard Cryosatellite.